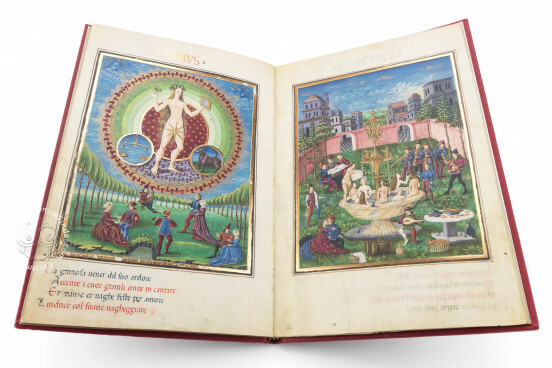 De Sphaera is today considered as the most beautifully decorated astrology book of the Renaissance. 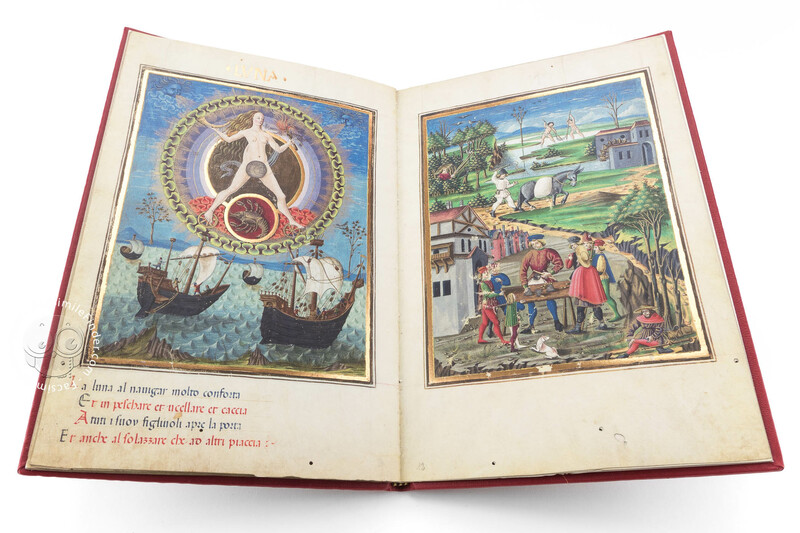 A wonderful work of art and an important cultural document at the same time, it was executed around 1470. Originally, the book had no title and no hint existed as to the author or the copyist of the book. 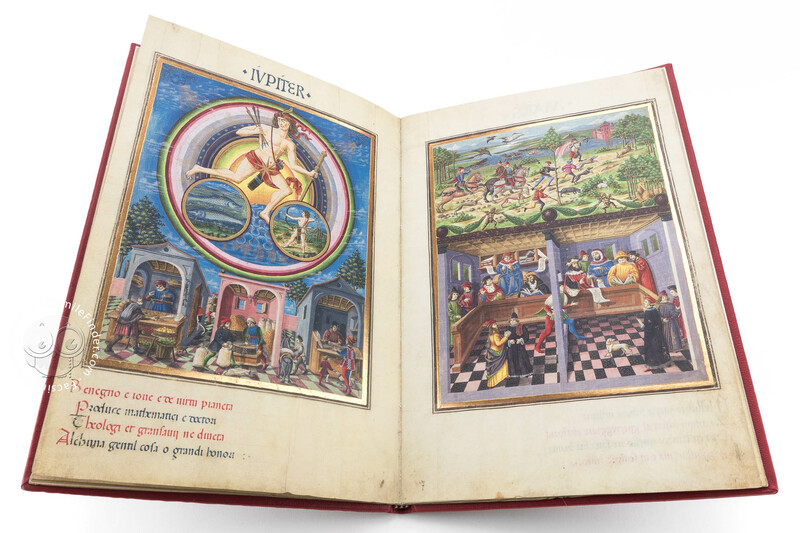 Today the codex is simply known as De Sphaera d’Este. 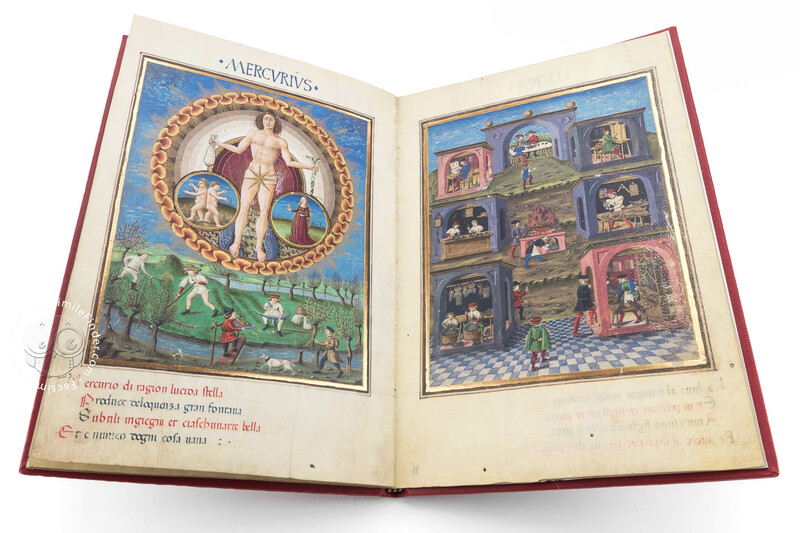 In this masterpiece, the famous illuminator Christoforo de Predis provides an insight into diverse aspects of everyday life in the Renaissance, in an unsurpassed way. All scenes are seen in context with the main topic of the book, the planets. 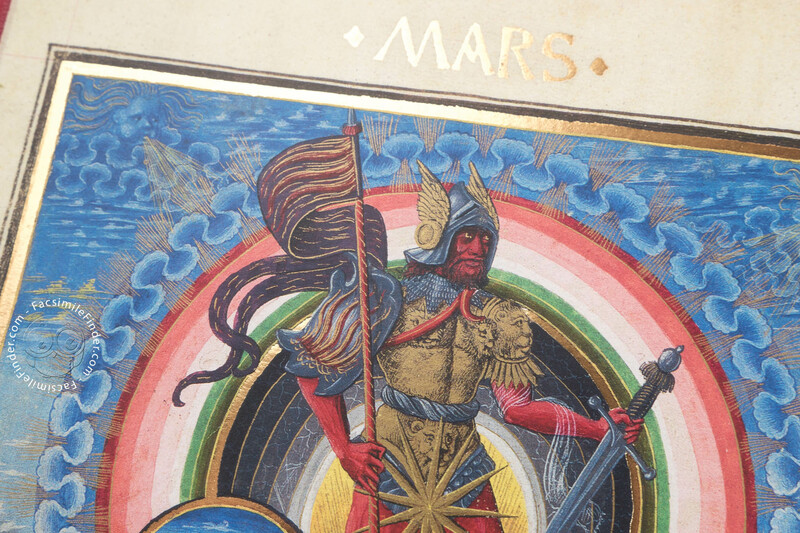 The then relevant level of astronomical information is illustrated in what may be called the predecessors of our current astrological charts. Astrology is the science of the stars. Next to nothing is known of its geographical origins nor of the beginning of this legendary and magical story, steeped in legend and lore, in mathematical formulas, research and discovery. One thing is certain: throughout history, man has increasingly become a more perceiving observer of the sky. And so it seemed to be obvious that the stars and the moon on the firmament exerted mystical influences on nature, best exemplified in the change between day and night, the four seasons, the tides of the sea, the eclipses of the sun and the moon as well as the appearance of comets. These phenomena occurred periodically and were announced by the position of the constellations. In the course of human history, the sky and its secrets have always occupied the greatest thinkers of any era. 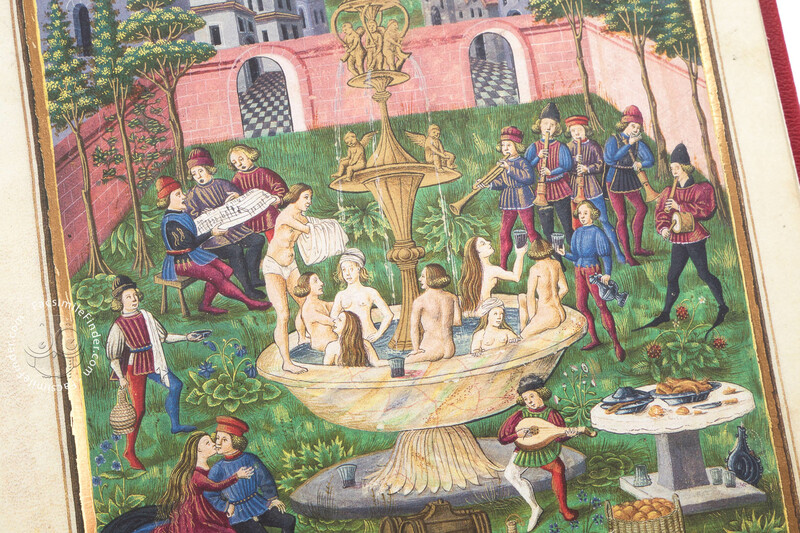 One of the great centres of Italian astrology in the 15th century was Milan. 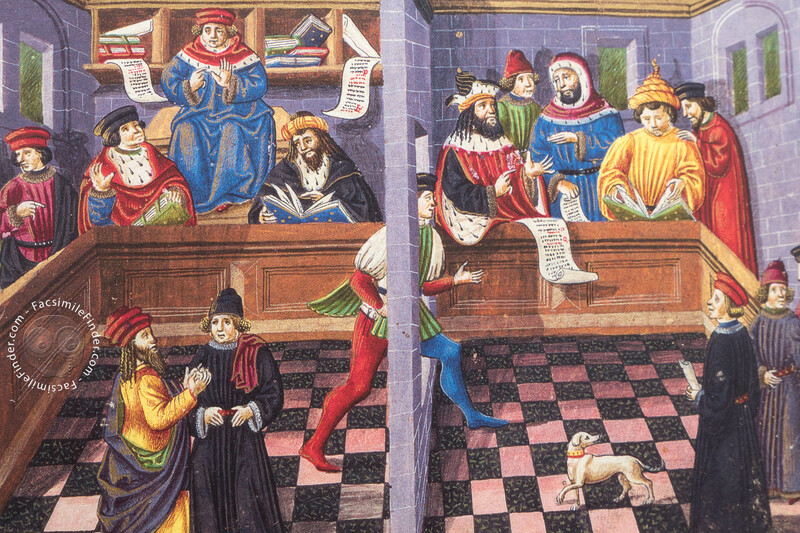 At the court of the Visconti/Sforza, astrology, just like the entire Lombard culture of the time, was filled with the spirit of reality and the order of things. On the other hand, people from the highest ranks down to the lowest classes believed strongly in the cosmic forces and in stars. Some of the great Visconti princes regularly consulted astrologists for their horoscope. 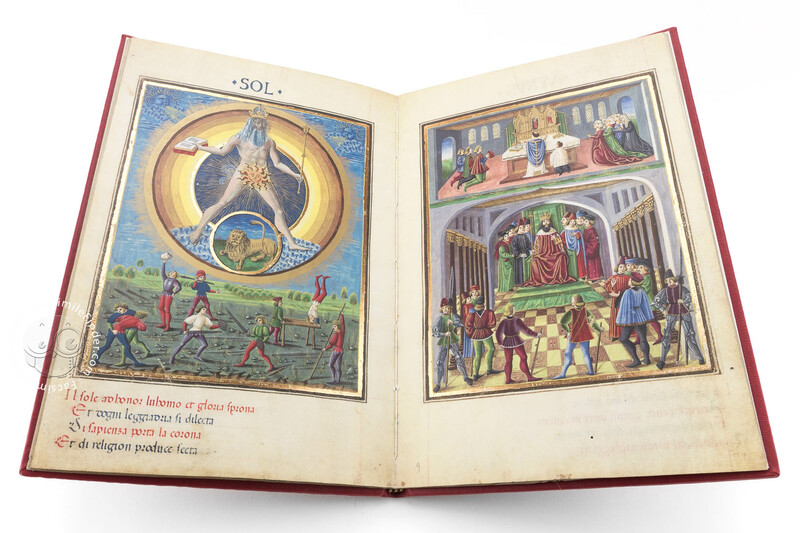 As a result, the libraries of princes, aristocrats and the bourgeois, contained a great number of astrological texts. 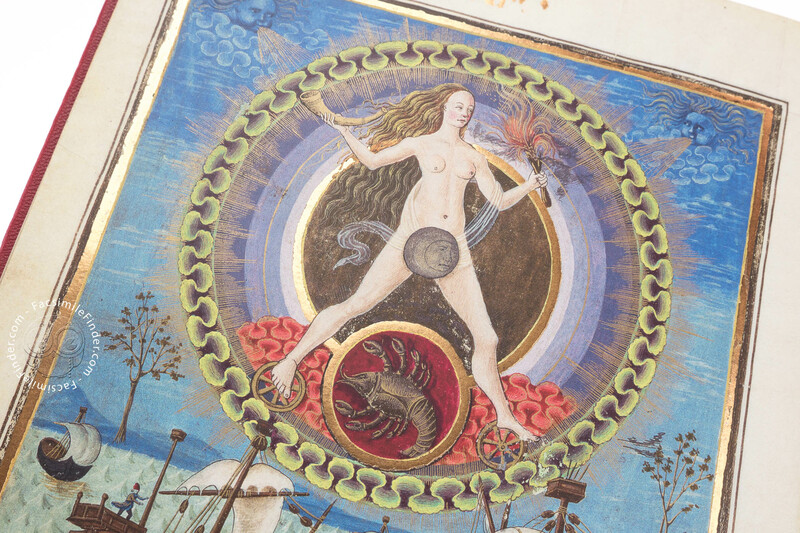 In the humanistic centres of Northern Italian Renaissance, astrology meant an intricate mixture of human and divine aspects blended with superstition. 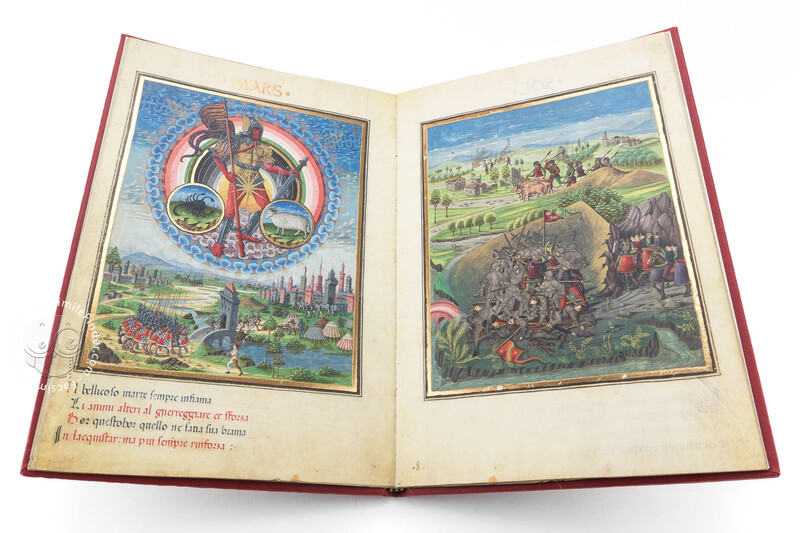 Christoforo de Predis worked around 1471 as an illuminator for the Court of the Sforza. 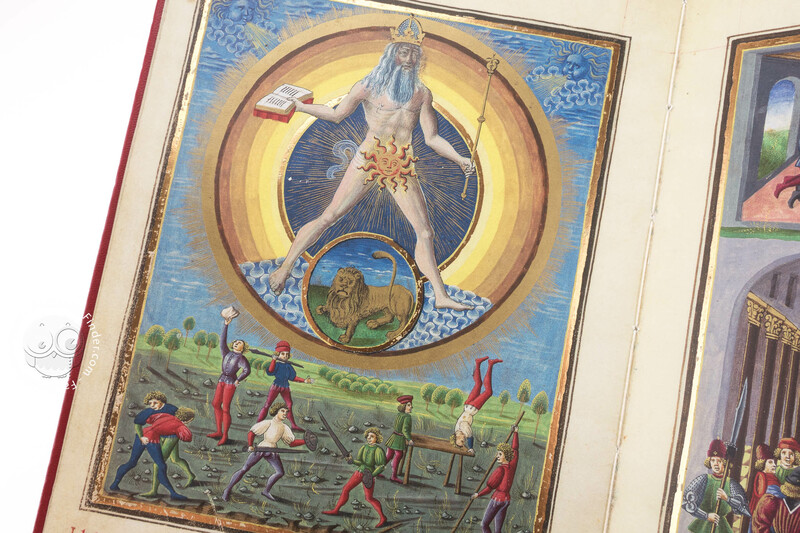 He was an outstanding artist of 15th century book illumination. 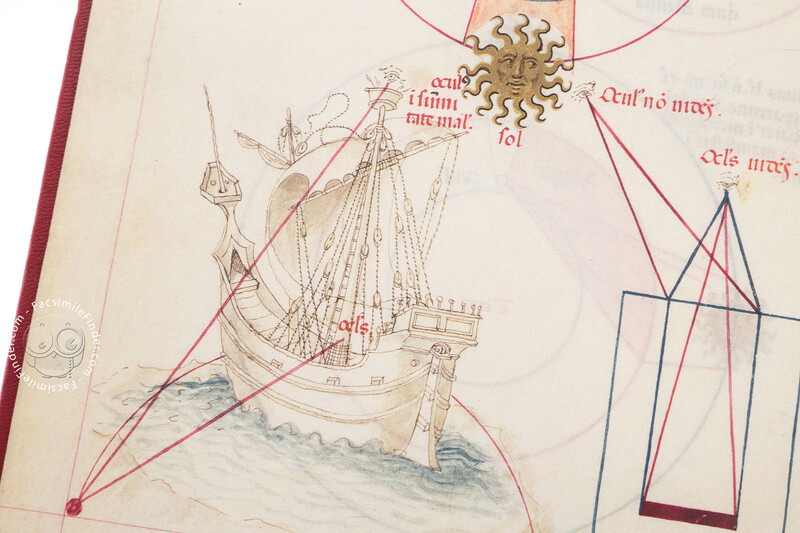 De Predis was born around 1440/45, presumably in Milan. He was deaf-mute by birth. De Predis began his fifteen years as an artist in an environment which was obliged to late Gothic tradition but also felt the influence of Franco-Flemish art. 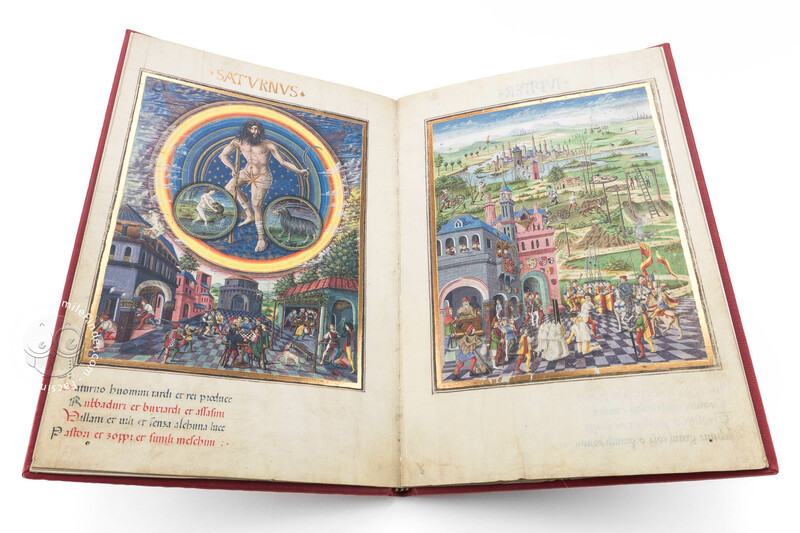 He not only executed De Sphaera but also the lavishly embellished Borromeo Hours, a true gem of Lombard painting, created around 1474. 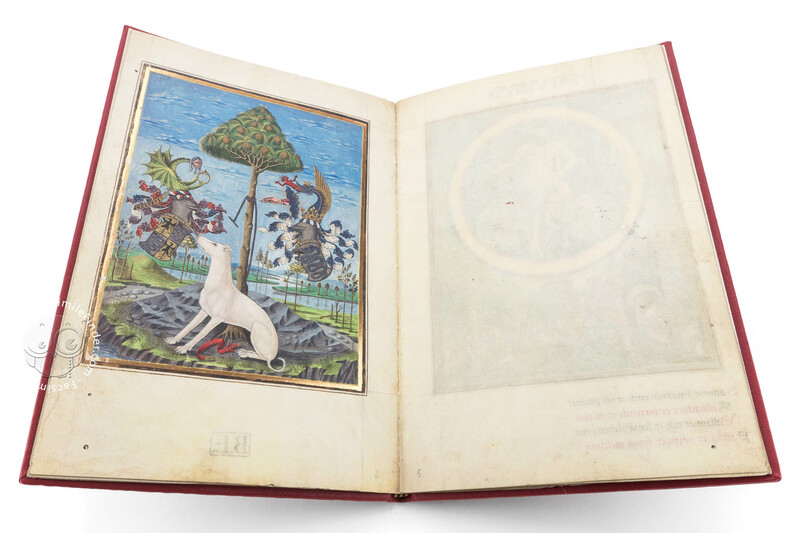 Christoforo’s impressive talent and his inborn artistic sensitivity, which his handicap presumably only refined, was nowhere more clearly exemplified than in his greatest work, the magnificent manuscript of De Sphaera. 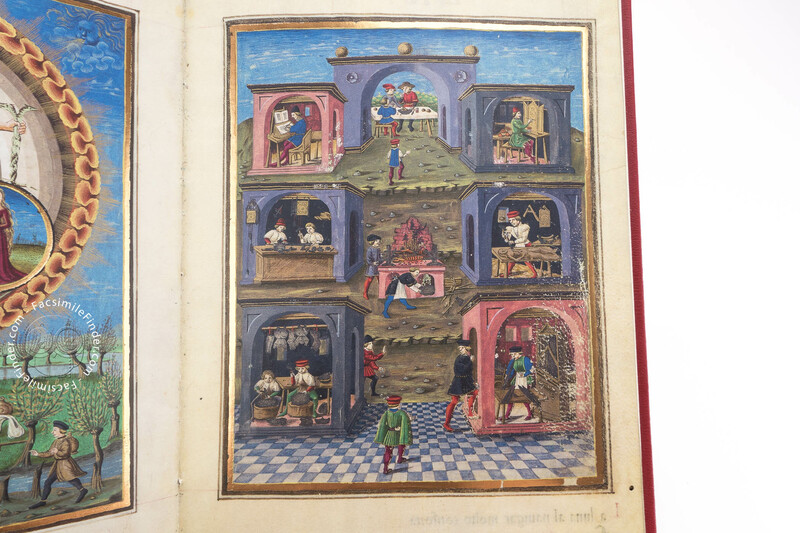 In all, the manuscript contains 15 lavish miniatures each occupying a full page. These illustrations depict the planets which, according to beliefs valid at the time, turned in orbit around the Earth, namely Saturn, Jupiter, Mars, the Sun, Venus, Mercury and the Moon. These astronomical maps also show the position of the Earth in relation to the celestial spheres as well as explanations for the phases of the moon and for climatic coordinates. This up-to-date scientific knowledge of the time related in a very special way to traditional iconology which saw human destiny as determined by the stars. Each planet is associated with the relevant sign of the Zodiac as well as with two magnificent finely decorated landscape views, towns or interiors, all reproduced in a highly realistic manner. Each planet is shown in an allegorical figure, featuring the relevant good or bad properties together with the corresponding constellations. 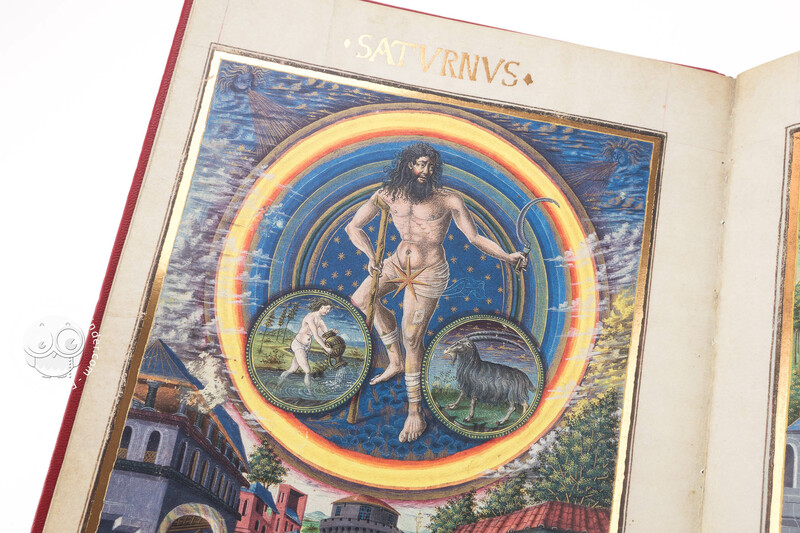 These miniatures are preceded and followed by astronomical drawings dealing with the then most up-to-date knowledge on astronomical aspects of the visible part of the sky, a truly fantastic image of the Renaissance and its scientific knowledge. Manuscript book on parchment − 24.5 × 16.4 cm − 32 pp. 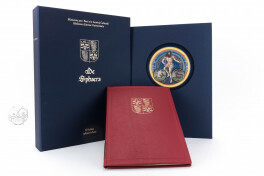 De Sphaera facsimile edition by Il Bulino, edizioni d'arte, 2010. 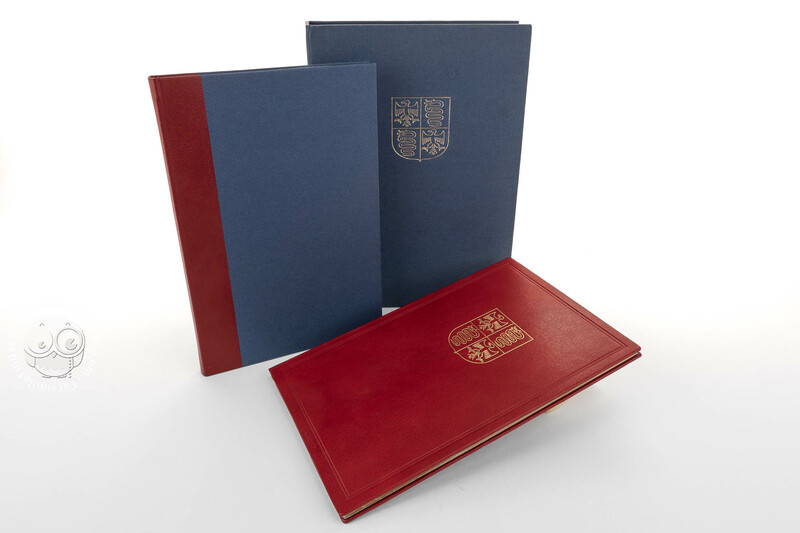 Full-size color reproduction of the entire original document, De Sphaera: the facsimile attempts to replicate the look-and-feel and physical features of the original document; pages are trimmed according to the original format; the binding might not be consistent with the current document binding. 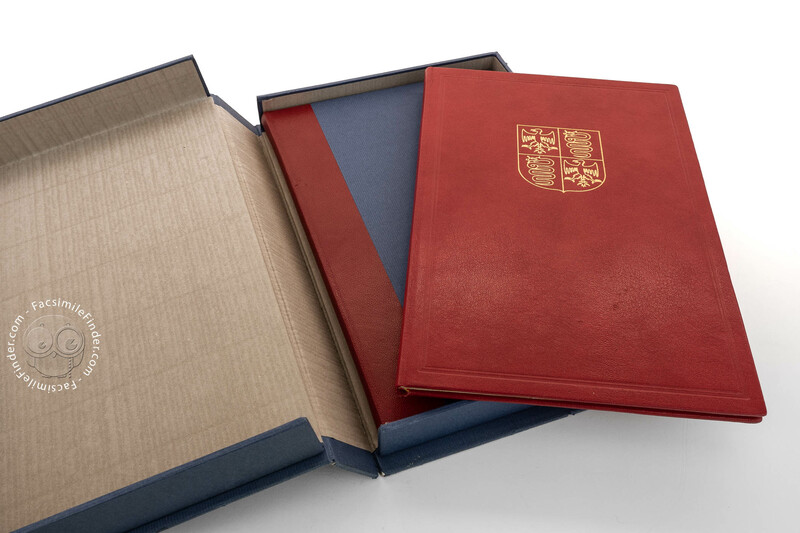 Reproduction obtained with highly technological printing technology. The new edition of the commentary volume features full-size color reproductions of the miniatures and the results from new analyses on the original. Also available with plexiglass book holder (price on demand). Handmade red leather cover decorated with the coat-of-arms of the Visconti/Sforza. 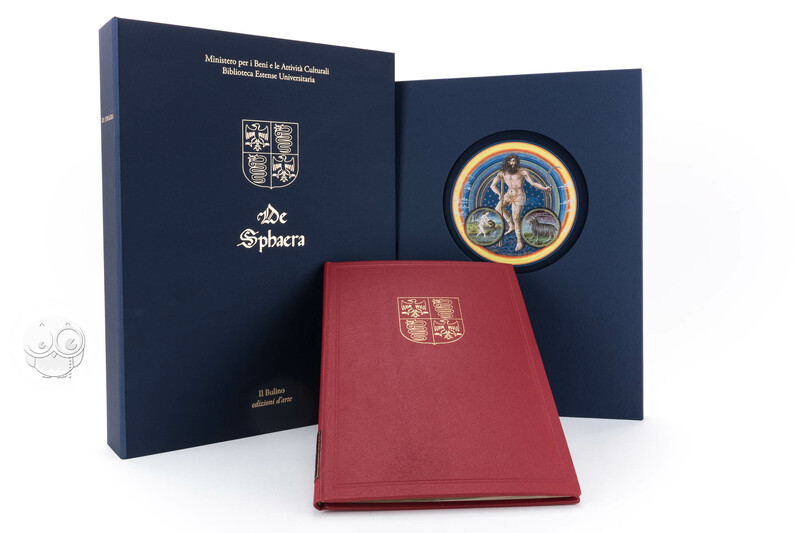 De Sphaera facsimile edition by M. Moleiro Editor. 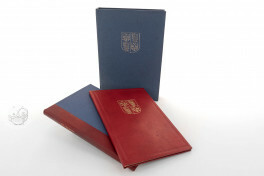 De Sphaera facsimile edition by Faksimile Verlag. De Sphaera facsimile edition by Il Bulino, edizioni d'arte, 1995. 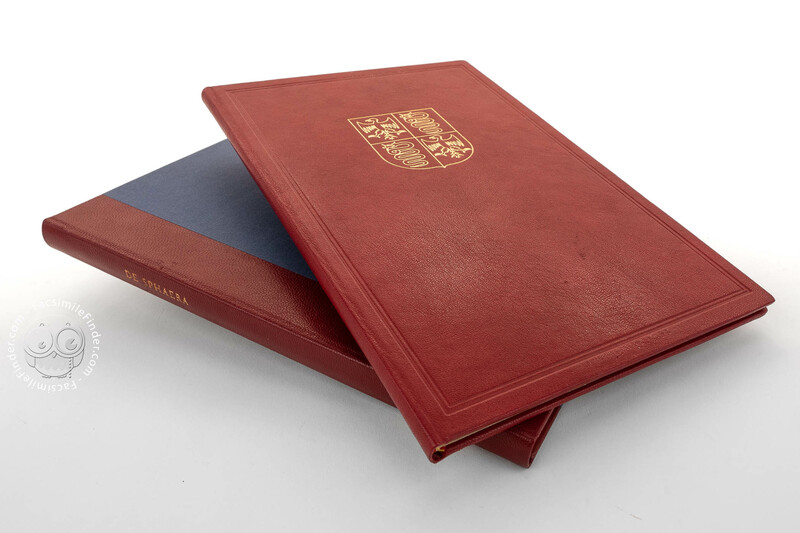 De Sphaera facsimile edition by Il Bulino Edizioni d'arte, 1995.